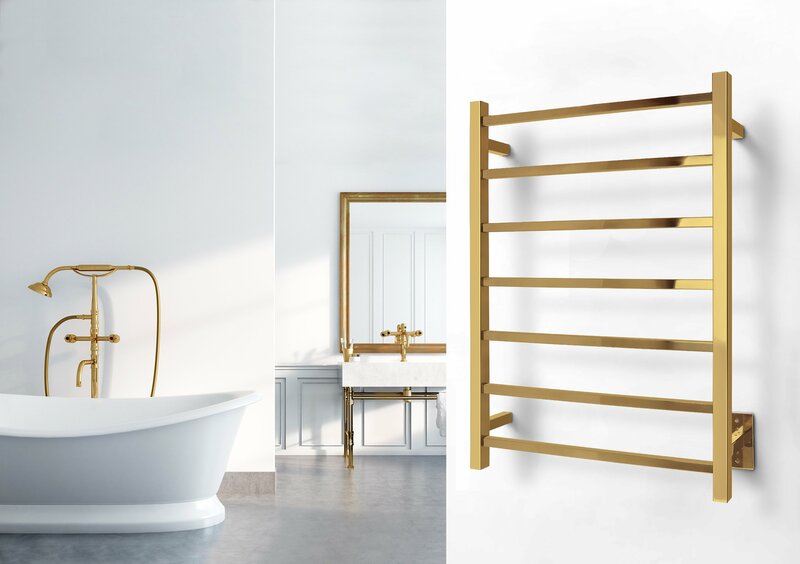 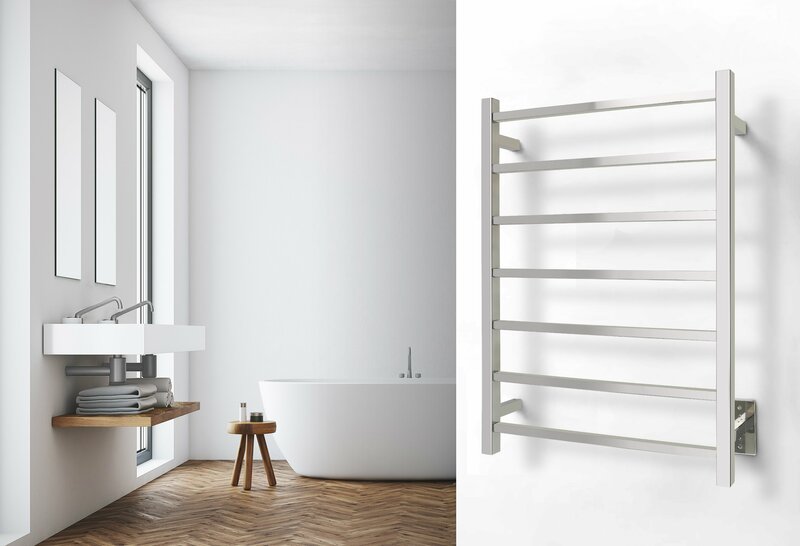 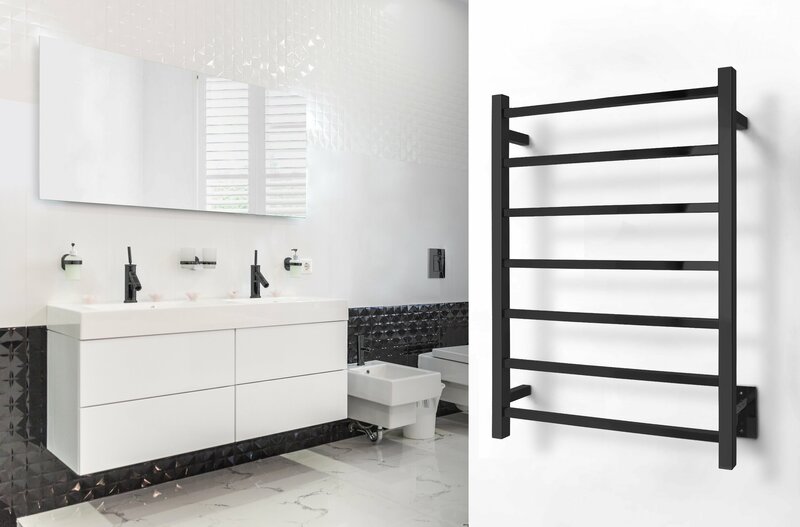 Incorporate the perfect blend of stunning design and high performance into your bathroom with a Tahoe towel warmer from WarmlyYours. 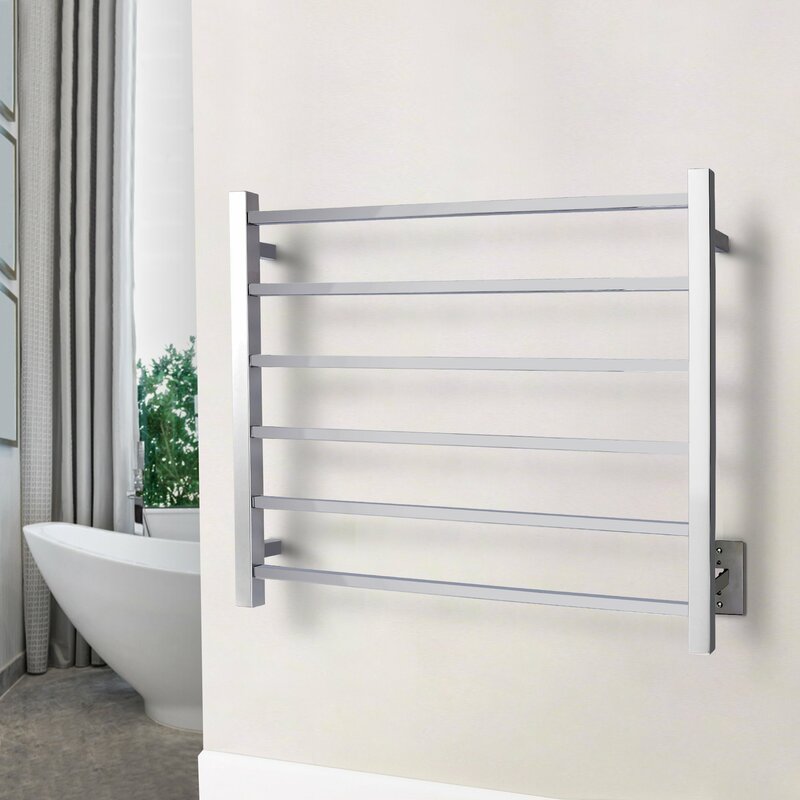 With its hardwired electrical connection (110 – 120 VAC) and discrete power switch, this wall-mounted model presents a streamlined appearance. 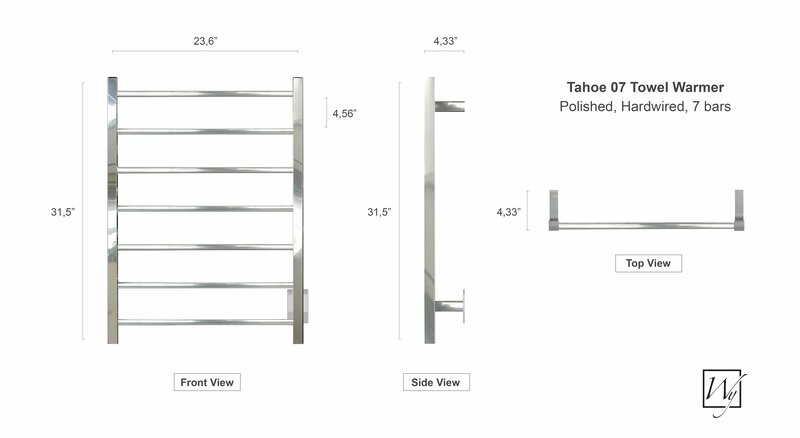 The square bars and straight lines of the Tahoe models are a perfect addition to the linear aspects of contemporary bathroom design. 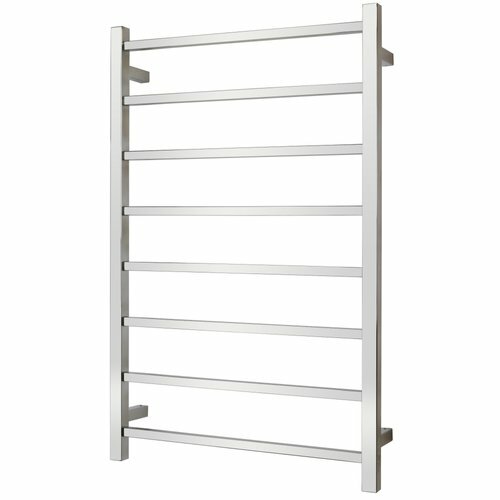 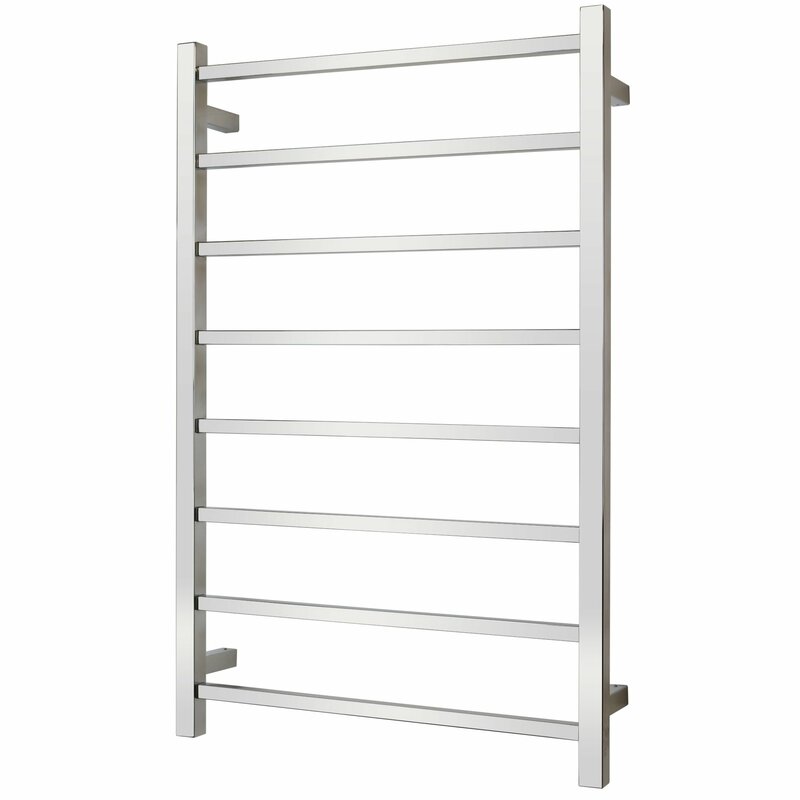 This model will warm and dry your towels and bathrobes with evenly spaced bars. 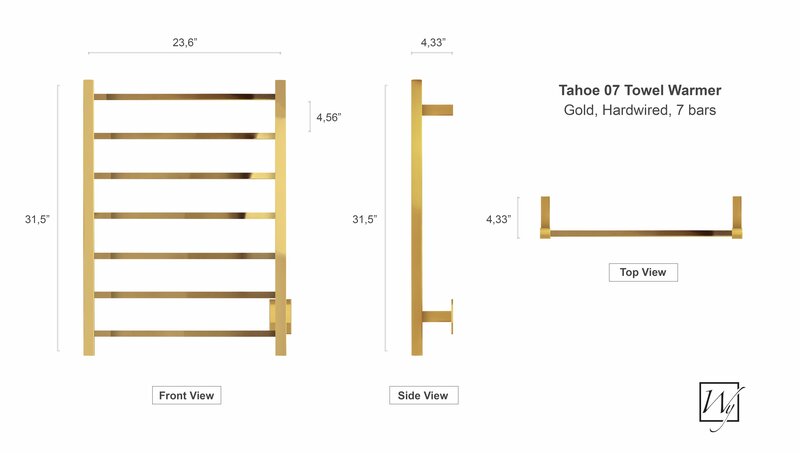 Tahoe models are available with 6 or 7 bars and with a variety of finishes. The Tahoe comes with built-in TempSmart™ protection to prevent the unit from overheating.